← Prophet Owuor – who is he? ubin “Hurricane” Carter, the former professional boxer who became an advocate for the wrongly convicted after spending 19 years in prison for a triple murder he didn’t commit, died Sunday in Toronto. He was 76. Carter’s struggle for freedom and exoneration was made famous in a number of books, a Bob Dylan song and a Hollywood film. Although born in the U.S., Carter had a special connection to Canada, where he settled following his prison release, which came about with the help of a group of Canadians. Carter’s work continued until his death. In a recent letter in the New York Daily News printed in February, Carter said he was on his deathbed, but that his “final wish” was for Brooklyn’s district attorney to grant a hearing to David McCallum, a man who has been imprisoned for 28 years for a murder Carter said he didn’t commit. Carter grew up in Paterson, N.J., where he had a number of run-ins with the law in his youth. He later joined the U.S. Army and started boxing, travelling through Europe and accumulating a series of wins. When he left the army, his troubles with the law continued and he ended up serving four years in prison, convicted of robberies and assault. But he again turned his attention to boxing and turned pro in 1961. He began compiling an impressive record as a middleweight, scoring 11 knockouts in his first 15 fights. Carter’s rapid-fire combinations and punching power earned him the nickname “Hurricane” and, by 1963, The Ring Magazine had rated him number 10 in world rankings. 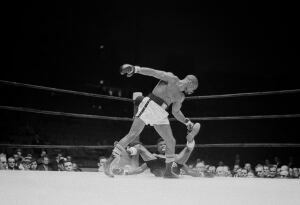 In 1964, Carter got a title shot against middleweight champion Joey Giardello. But he lost in a 15-round decision and, over the next few years, his fight record was mixed. His career came to an abrupt end when, on June 17, 1966, Carter and his acquaintance John Artis, were arrested for the fatal shooting of two men and a woman at the Lafayette Grill in Paterson. Although both professed their innocence and passed a lie-detector test, they were later charged with the murders. Police had said Carter’s car was similar to one spotted at Lafayette Grill. Investigators also had witnesses, two convicted felons who claimed they saw Carter and Artis come out of the tavern with guns in their hands. 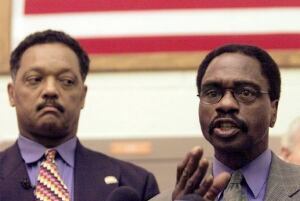 An all-white jury convicted the two and Carter was sentenced to three life terms in prison. While in prison, Carter penned his autobiography: The Sixteenth Round: From Number 1 Contender to #45472. His book and a series of New York Times investigative stories raising questions about the case attracted attention and support from celebrities like Muhammad Ali and Bob Dylan (who co-wrote the song Hurricane). By 1976, the two witnesses had recanted their story, and the New Jersey Supreme Court overturned the convictions. But in a second trial, one of the witnesses reaffirmed his original testimony. The prosecution also claimed that the murders were racially motivated and in retaliation for the killing of a black tavern owner by a white man that same day. Carter and Artis were again found guilty. Undeterred, their legal teams continued to try to prove their clients’ innocence. “This little 15-year-old kid read my SOS and came to help me, and with him came his Canadian family,” Carter told the New York Daily News in 1999. “The jury was permitted to draw inferences of guilt based solely upon the race,” of the defendants, the judge wrote. 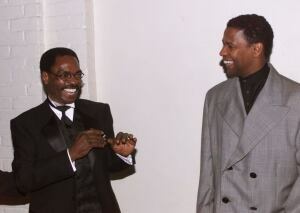 Carter was freed (Artis had been paroled in 1981) and in 1988 all indictments were dismissed. Carter began a new life in Toronto, moving in with the Canadians who helped secure his freedom. But the relationship between him and the group became strained and Carter moved out, finding the rules of communal living too restrictive. He spoke out against the justice system and became a strong advocate for individuals imprisoned whom he believed to be innocent. His life was given greater exposure with the release of the 1999 film The Hurricane, starring Denzel Washington and directed by Canadian filmmaker Norman Jewison. Yet the movie came under some criticism for taking liberties with the facts, bolstering the role of the Canadians while downplaying the efforts of Carter’s legal team and white-washing his criminal and violent past. In 2004, Carter broke ties with the Association in Defence of the Wrongly Convicted — upset it did not object more strongly when prosecutor Susan MacLean was named to the Ontario Court of Justice. MacLean had been involved in the case against Guy Paul Morin who was convicted in 1992 of murdering a young Ontario girl but later exonerated through the use of DNA evidence. Carter continued his public speaking and advocacy and, in 2011, released the book Eye of the Hurricane: My Path from Darkness to Freedom. “If I find a heaven after this life, I’ll be quite surprised,” he wrote in his letter to the New York Daily News. “In my own years on this planet, though, I lived in hell for the first 49 years, and have been in heaven for the past 28 years.